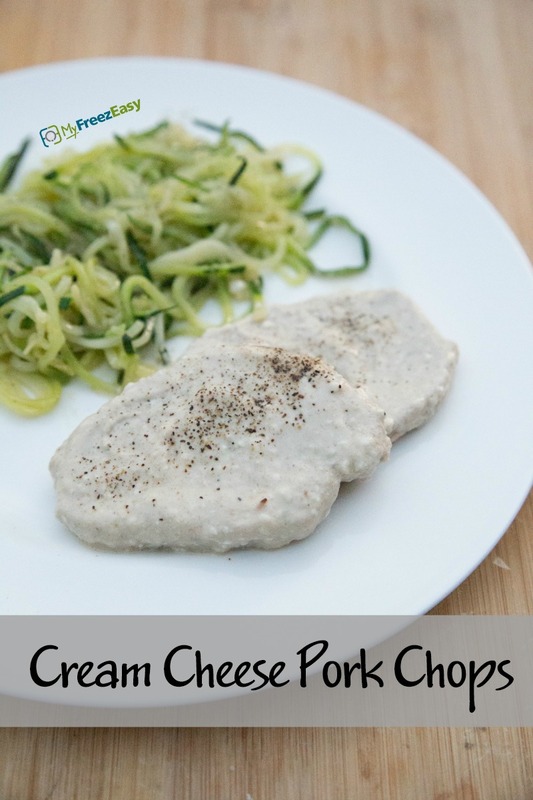 Perfectly cooked pork chops in a simple, yet magical cream cheese sauce. A quick weeknight dinner option for those on a keto or low-carb diet! Soften the cream cheese and cut into cubes. In a mixing bowl, whisk together the softened cream cheese, chicken stock, Parmesan cheese, balsamic vinegar and lemon juice. In a large skillet, heat the olive oil and brown both sides of the pork chops over high heat. Reduce heat to low and pour the cream cheese sauce over the pork chops. Let simmer for 7 to 9 minutes, or until pork chops are cooked through. Remove from heat and let rest 5 minutes before serving. 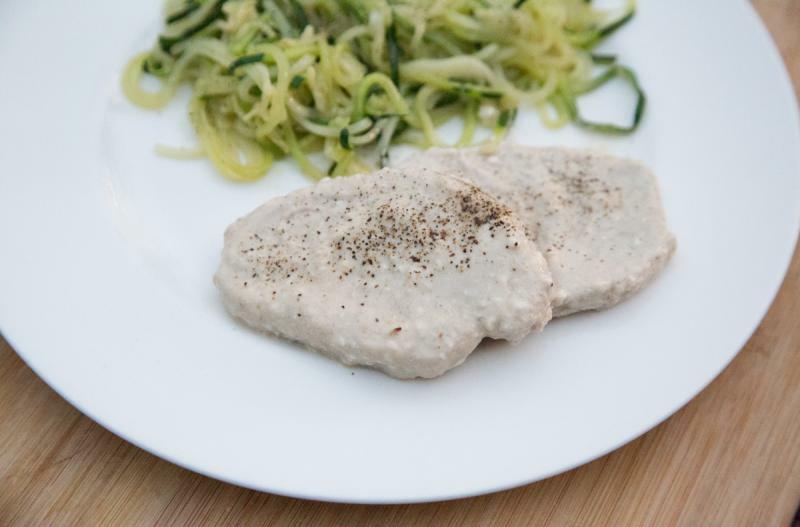 Serve Cream Cheese Pork Chops with veggies and salad. In a mixing bowl, whisk together 8 oz. softened cream cheese, 1 cup chicken stock, 1/2 cup Parmesan cheese, 4 Tbsp balsamic vinegar and 2 Tbsp lemon juice. Put tray in the freezer and freeze up to 6 months in fridge freezer or 12 months in a deep freezer. Thaw in the fridge overnight, or a shallow dish of warm water for about 20 minutes, before transferring to the skillet and simmering the pork chops and sauce all together. You don’t need to brown the pork chops first, since the pork chops and sauce are already combined in the freezer bag. Simmer until pork chops are cooked through. Thaw completely and simmer pork chops and sauce in skillet over low heat for 10 to 12 minutes, or until pork chops are cooked through.